Unique offering in Industrial Zone close to town. Large property will accommodate semi tractor trailer trucks and all other deliveries. 12 x 18 overhead door. Building has many uses. 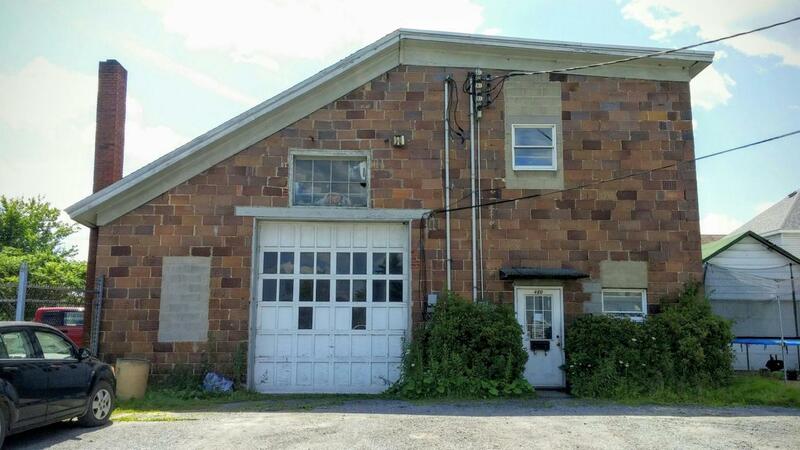 If you need a warehouse, job shop, office, and more take a look at this great opportunity. 3 phase power! Part of the building is leased on a month to month basis. Roofing new approx 2000. Forced Air & Coal heat.